Have a ball with us at our Bocce Tournament Fundraiser! 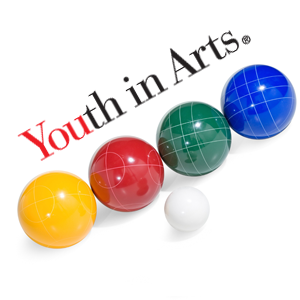 Whether you’re a Bocce All-Star or a newbie, join Youth in Arts for a friendly competition supporting arts education for kids! May 20, 2017, 3-8 p.m.
Special Bocce Coaching at 3 p.m. Thank You to Our Sponsors–support local businesses that support art for kids!